You must be a member of the London Lovers of Chiswick and Fulham Group to attend this activity. Would you like to join this group? in all honesty... DRY GIN is my concept of a DRY JANUARY! And this is THE event I always wanted to organise for this group. 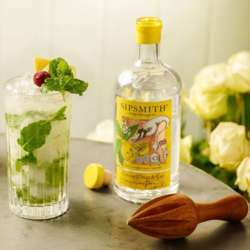 Please join me at Sipsmith Distillery for a guided tour and tasting of some of the best gin in the country! The tour starts at 18:30, but of course try to be there a few minutes before.